British School of Zanzibar www.zanzibar.org is co–educational private school, from Nursery – Year 6. Our enrolments are currently just over 90 students. We have dynamic teaching staff and access to the latest in educational supplies and equipment. BSZ school is a private Tanzania school with a very advanced English program. Our school is dedicated to encouraging each individual to achieve their best. BSZ school is located in Kisauni near Zanzibar Airport. Living condition for foreign teachers are very comfortable and we find that teachers enjoying living here. • Be able to observe and record children’s learning and development. • Plan, develop, and teach programs that cater for the needs of each individual child. • Be able to maintain open communications with work collegues in building and maintaining supportive and encouraging team environment. • Undertake adminstrative task as required. 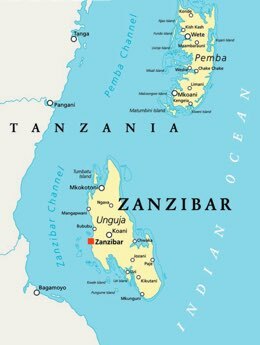 Requirement:-According to Zanzibar Ministry of Education, candidate must have bachelor’s degree of Education, Psychology or Sociology and be native in English language. If you are interested please email smilefuture@zanlink.com in the first instance send a one page letter regarding your interest and attach your resume with copy of your educational certificates and copy of passport.